We will be landing into third week of March and obviously the time for celebrating the most popular festival of Holi is approaching fast. 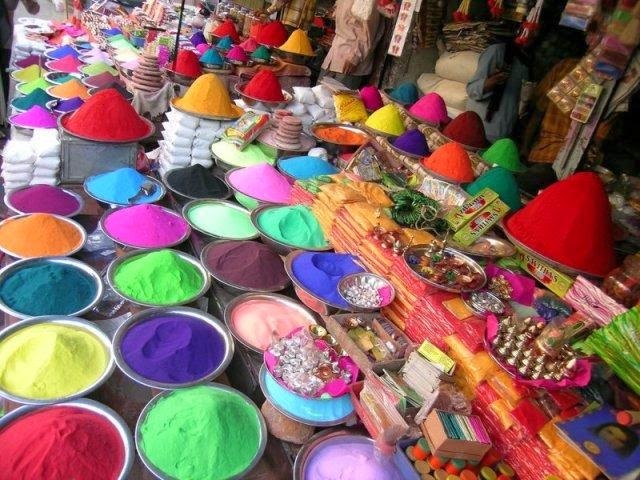 This spring festival popularly called festival of colors is also a festival of love. This purely Hindu festival has gained popularity among non Hindus also, which transformed it into a nationwide celebration. India being a country with majority Hindu population, Holi has a great importance in the lives of the masses. Fast popularity of the festival can be credited to its way of celebration, which is more entertaining and less religious. Even though the time period of celebrating this festival is identical in the month of March way of celebration varies from region to region in India. Bihar and Uttar Pradesh are two states in India most popular for their incredible and enthusiastic Holi celebration. In Uttar Pradesh there is hardly any place, where Holi is not celebrated with pomp and fervor. In the mind blowing celebrations effigies of Holika are burnt on the night of Holi. It is not only a fun and entertainment festival because in many places Mantras from Rig Veda are chanted by the celebrators giving it a religious touch. Prayers for good harvest are offered by people present at the venue. Offerings in the form of grains, flowers and coconuts are offered in the bonfire. Then the torched coconuts are distributed as Prasad. In Bihar long time preparations include cleaning houses and collecting wood required for the bonfire of Holi. The celebrations last for two days when elder people apply color dry as well as liquid to each other. In various places it is popular by different names like in Bengal it is known as Dol Jatra, in which the masses put yellow clothes and carry idols of deities on the streets. In southern parts of India Holi is celebrated to honor Kamadeva and sandalwood is offered to Holika. If you are visiting northern India especially region around Shimla, then we have a beautiful means of staying at chail on Chail–Kufri road. Our resort at Chail by the name United-21 resort Chail is another name for an exclusive stay amidst the natural beauty of Chail in Himachal Pradesh. Chail has a great tourist potential dispersed in its mountains, valleys and many other remarkable places to visit. We have combined luxury and comfort with natural beauty of this location to offer you unforgettable vacation in the heart of the paradise called Chail.